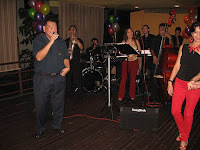 Live band entertainment by Jason Geh Jazz Quintet. 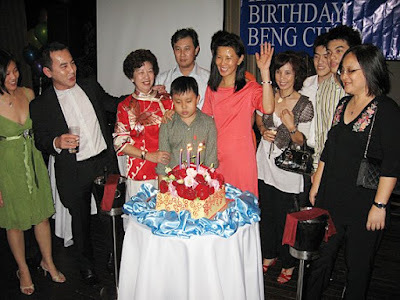 Birthday party of Low Beng Choo held in Courtyard Garden, KL, Malaysia on 26th May 2008. 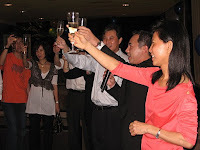 Robert Low, Beng Choo's brother got the band back for this party after his birthday bash last month. Here's the link to that event, Robert Low's birthday. Among the VIP's that grace the event was Datuk Roy and Tengku Imran who was sporting enough to come up and dedicate a few numbers to the birthday girl. Was very surprise to bum into Joanne and Martin. Our band perform for their wedding December last year.